The Police Ombudsman’s Office is appealing for witnesses to an incident in Lurgan on Thursday, October 18. Video footage of the incident, focusing on the actions of a police officer, has been shared widely on social media. 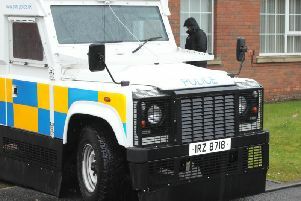 It happened at a police cordon on William Street, as police were dealing with another incident at nearby railway lines. Anyone with any information is asked to contact the Police Ombudsman’s Office on 0800 032 7880.